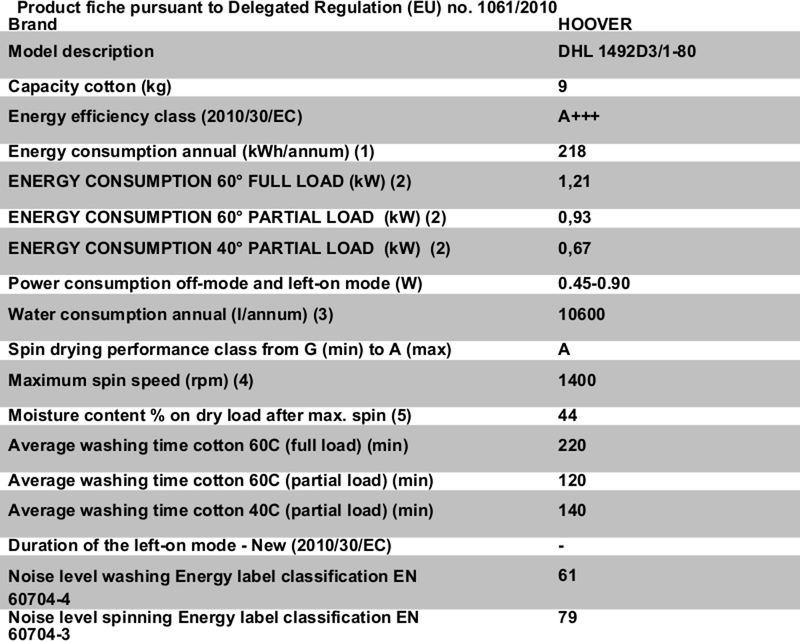 The Hoover HL1492D3 freestanding washing machine is the perfect option for a large capacity washer that gives great functionality combined with impeccable style. Boasting a generous load capacity of 9kg you'll be able to fit in all of your laundry with ease, without having to run numerous loads to get everything done. The speedy maximum spin time of 14000rpm ensures that you're able to save time and save energy with a speedy yet thorough wash. Equipped with a delay start timer you're able to set your laundry to wash for the time you need it, or even set your washing machine to work at times where energy prices are lower. With the LED display it will allow you to easily monitor all your programmes progress all with a digital display. And with its A+++ energy rating, the washing machine will not only look good, but will mean your energy bills are kept down to a minimum.